Every wardrobe needs a cozy, warm hoodie and Saucony has you covered with their range of hooded jumpers for lesiure or active lifestyles. 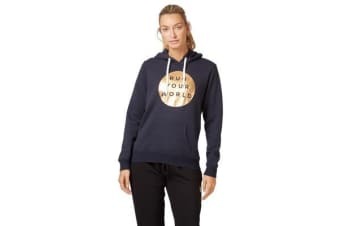 The Run Your World Circle Hoodie will be on rotation when the temperature drops with its super warm fleece lining, drawstring hood and a practical kangaroo pocket. 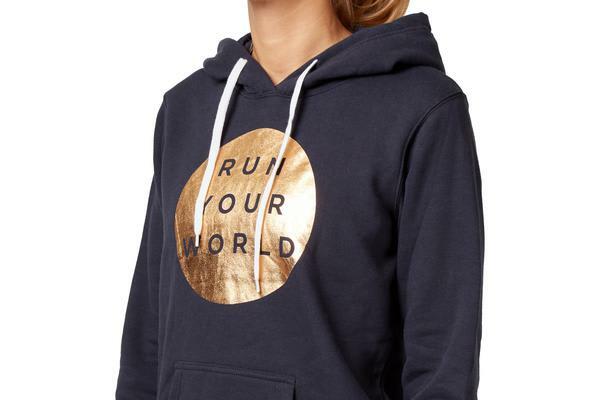 Finished with a metallic ‘Run Your World’ slogan print for that extra touch of motivation in your daily life. Pair with jeans, leggings or sweatpants, this versatile hoodie is a comfortable and stylish choice for those casual days. Material: 65% Cotton, 35% Polyester.